A perfect way to display home accessories and family belongings, this Sofa Table will make a great addition in your home. Complete with a rich brown finish, the sofa table exhibits a sophisticated, refined quality with its long sabered legs, demilune table top, and open lower shelf. There is simply no better way to display your photo frames, vases, candles and other items than with this lovely sofa table. 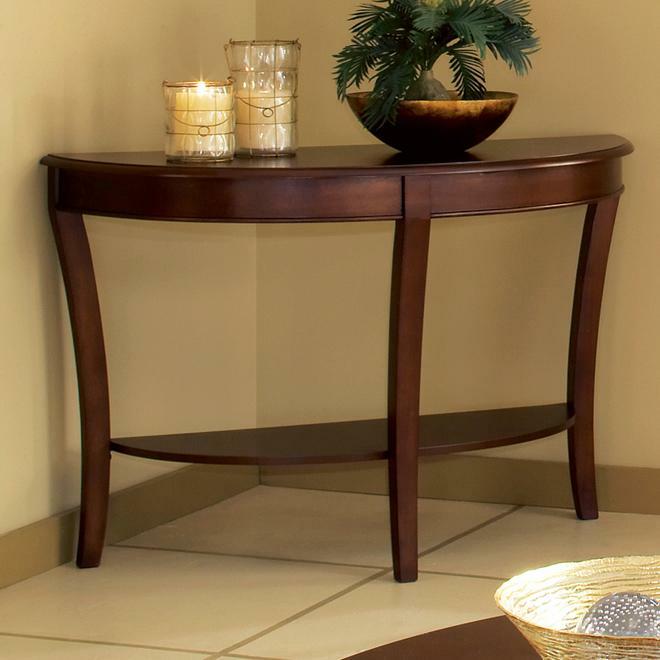 The Troy Sofa Table with Sabered Legs by Steve Silver at Northeast Factory Direct in the Cleveland, Eastlake, Westlake, Mentor, Medina, Macedonia, Ohio area. Product availability may vary. Contact us for the most current availability on this product. Provide your living room with the table space it needs by adding the Troy occasional group collection to your home. Made with sophistication and refinement in mind, the group of tables make a great solution for spaces looking for that traditional yet contemporary chic appearance. 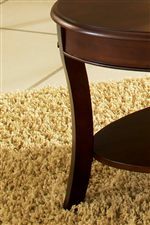 Curved, sinuous lines seen in the table shapes and legs create a traditional appeal while the rich brown finish of the birch veneer add a more modern flair. The Troy collection is a great option if you are looking for Transitional furniture in the Cleveland, Eastlake, Westlake, Mentor, Medina, Macedonia, Ohio area. 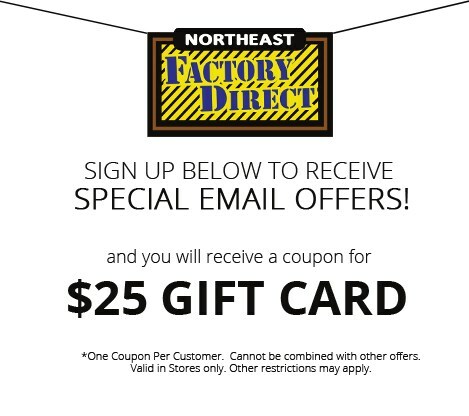 Browse other items in the Troy collection from Northeast Factory Direct in the Cleveland, Eastlake, Westlake, Mentor, Medina, Macedonia, Ohio area.